I am a CPA and enjoy writing thank you cards to folks that I work with. A high attention to detail is extremely important in my profession. I was looking for an APP that could mail hard copy professional thank you cards to be more efficient with my time and decided to settle on ThankYouPro after reading their reviews. The thank you cards are pristine and easily customizable. I was further impressed that you could add a company logo and your own signature! What really set them apart in my eyes was the customer service experience I had. That’s why I am writing this review today. I submitted a thank you card to an individual after a BIG meeting and later realized that I put the wrong zip code on the letter! After sending a quick email with a screen shot of the letter to customer service reps they were able to pull the card before it was mailed! They helped me dodge a bullet! In addition to this they added a credit to my account even though it was my mistake!! What a standout company and perfect customer service experience! Working for a not for profit, this is the quickest and most professional way to get those special thank you’s out to my donors! This app is the best! writing a thankyou couln’t be easier. Thank You Pro has been a wonderful tool for me to use for my clients. It is fast easy & immediate, which is always a good thing in this fast paced world we live in. It makes it so I look forward to picking a thank you card & typing a quick note & pressing send….no more notes to go back to my desk and add on to the pile of other things that need my attention…it’s just an awesome way to stay polite and thankful! I love the concept and sent the first free thank you card to myself to make sure the quality was good. It was excellent! Will be using this for all my clients. This is a great little card writing tool which I’ve been using for many occasions. You can write a highly customized card on your phone in about two minutes and then send a real card or electronic format. Nicely done! I have used Thank You Pro for personal notes after my mother’s death, everyday business notes and notes and b-day cards to friends. I particularly like to design my own cards with pictures on my Iphone. It is my most useful and most used App! I love this app, it is very simple to use, yet very Elegant, I love the integration of using my own photos to make it more personal to you and the receiver! I manage a small non-profit and wear many, many hats. I use this app to thank donors, volunteers, and members of the community. I createphotos of clients using PicFrame on my iPhone then I can save that as a new thank you card. I can do this all from my phone, while watching TV in the evenings. It saves time, yet is very professional looking. Thank you for this app. It is a lifesaver and time saver for me.! Although not a handwritten card, this is pretty close and you don’t always forget to actually send the note since its always at your fingertips on your mobile device. It’s as easy as an e card but has all the class of a traditional thank you card. Best app for sending Thank You notes. I use it for my business. 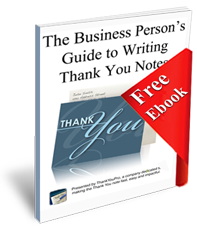 The thank you note is easy and fun to used and you have all the different ways to send a thank you note to friends, family members and clients. Many card designs to choose from and very nice ones at that. I emailed so many thank you cards, and it even let me mail one for free to try it out! Saved me money so I didn’t have to buy thank you cards. Awesome app! This is a great way to touch people online. Cars designs have something for everyone. Easy to use. Wow! This sure beats going to the card store and post office! Best app I have ever used! Quickest way I know to mail a thank you to my customers. Highly recommended. This app is so easy to use that i sent their developers a thank you card! Love it!!!! Very nice Thank You card app! 5*s. Thank you! MUCH Success!!! This is a fabulous app! You can make a variety of cards and send them in such a personal way! You can send the kind of greeting you’ve always wanted to right from your phone. Awesome!! Will recommend this app as a “must have” in the tool kit. This is the best product for sending cards I have ever seen! So much easier and faster than Send Out Cards! I use this app at least twice a week to send a personalized new picture of grand kids to the grandparents who live 2500 miles away! It is easy, immediate and makes them feel more involved! This is the best application ever made! It’s easy to use, it’s cool and fun! This application can be used for family, friends and my business notes! Easy to use but still has plenty of flexibility to customize. Love that I can use a “wet” signature and a font that resembles my own handwriting. Easy to use and very handy to get a card out quick. The price is a bit more than I would like but you always pay a price for convenience. Try it you will like it ! Love this because it is SO easy. I like to put the perfect photo on the cover; fewer words are needed. But the sentiment is there and it is immediate (email), followed by a real note card in the real mailbox. I always blind-copy or mail myself a copy so I can admire my creativity!